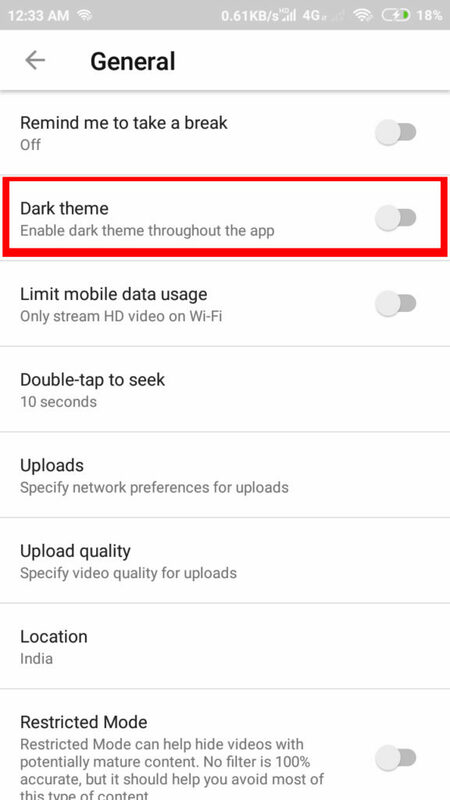 How to Turn On YouTube Dark Mode on Website, iOS & Android App? Are you a fan of white screened background that blast into your eyes? Well, you are probably not. Majority of us love the black themed applications and web interfaces. They are pretty classy to glance at and interesting to use as well. When a hell lot of apps were moving into an option for dark mode, how can YouTube be behind? YouTube finally brought the Dark Mode to their web interface last year. 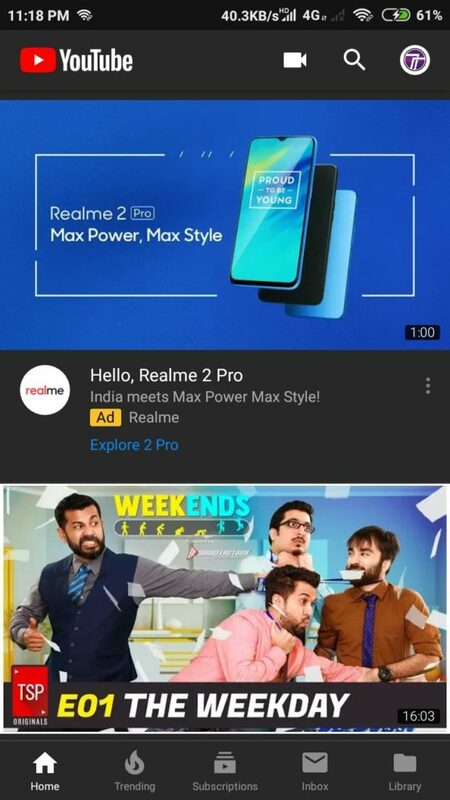 And now they have come up with this Dark Mode to their Android and iOS applications of YouTube. 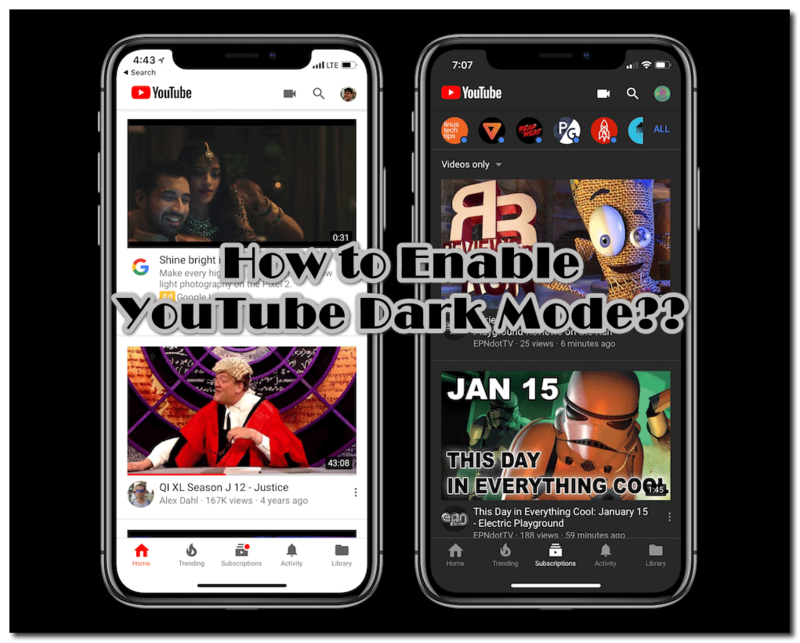 This post will walk you through a brief intro of Dark Mode on YouTube with some simple guides on how to enable Dark Mode for YouTube on various platforms like Web, Android and iOS devices. 1 What is YouTube Dark Mode? 2 How to Turn On Dark Mode on YouTube Website? 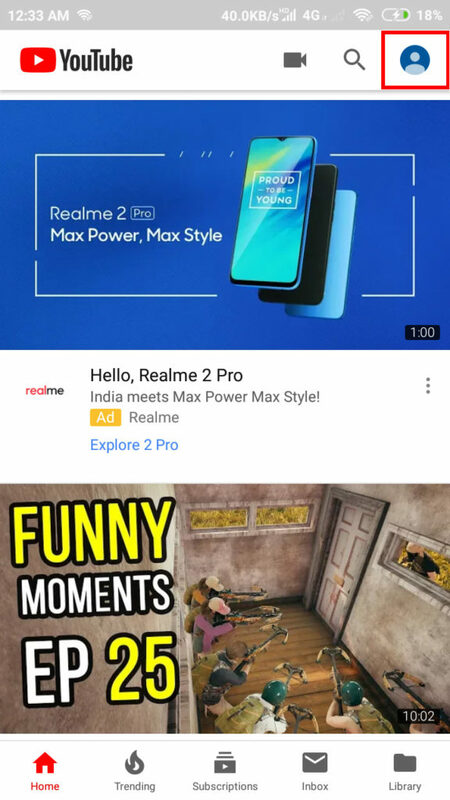 3 How to Turn On Dark Mode on YouTube Android App? 4 How to Turn On YouTube Dark Mode on iOS Devices? 5 How to Turn Off Dark Mode Theme on YouTube? What is YouTube Dark Mode? Just like any other Dark Mode, the Dark Mode for YouTube turns the theme of the interface to black, i.e., makes it dark. In other words, the dark Mode inverts the background color from White to Black. This helps the users at night. Nobody likes to get blasted with a hell lot of white light penetrating their eyes. As a result, we love to use the dark modes for more comfort. Well, now that YouTube has launched the dark mode for almost all their interfaces, why not use them? Let us have a look at how you can enable dark mode on YouTube on various different platforms. How to Turn On Dark Mode on YouTube Website? Step – 1: Navigate to YouTube.com from any of your favorite web browsers on the PC or Mobile Phone. Step – 2: From the top right corner of the homepage, left-click on the Profile icon. Step – 3: You will see a drop-down menu list. In this list, find the option for Dark Theme. By default, it is turned off. Step – 4: Click on that option and you will get a toogle to switch on/off the Dark Mode. To turn on or enable the Dark Theme or Dark Mode on YouTube, click on the toggle switch and it will change it’s state from off to on. Step – 5: Voila! As you can see in the attached screenshot, the Dark Mode for YouTube on Web Interface has been activated successfully. Enjoy this beautiful theme! 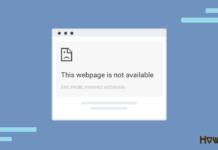 ALSO READ – How to Quickly Fix 500 Internal Server Error or HTTP Error 500? How to Turn On Dark Mode on YouTube Android App? After YouTube released the Dark Mode for their web interfaces, the users were eagerly waiting for this mode to arrive on their Android app. They recently revealed this astonishing feature for their Android App and users went crazy. Before they were either starving for this feature or were using some modified applications for Dark mode and stuff. Step – 1: Launch the YouTube app on your Android smartphone. Step – 2: Tap on the Profile Icon located at the top right corner of the homepage. Step – 3: Tap on Settings from the list of available options. Step – 4: Now navigate to General Settings. Step – 5: Here you will find the option for Dark Theme. Tap on the Dark theme option & toggle it on to enable the dark mode throughout the app on your Android smartphone. That’s it. Enjoy the Dark Black Theme on YouTube Android App! Well, enabling the dark mode on Android was pretty simple, isn’t it? But in some cases, you won’t find the option for Dark Theme. In such cases, just check once if your YouTube app is up to date by navigating to Google Play Store. If you haven’t upgraded the app for long, the option won’t be available for use. Thus, update the YouTube app as soon as possible. Once done, you are good to go with the procedure to enable dark mode on YouTube on Android phones. IMPORTANT READ – How to Fix “Unfortunately Google Play Services Has Stopped” Error? How to Turn On YouTube Dark Mode on iOS Devices? Step – 1: Launch the YouTube app on your iOS device (let it be an iPhone or an iPad). Step – 2: Tap on the Profile Icon located at the top right corner of the screen. Step – 3: Now tap on the Settings option. Step – 4: Here you will find the option for Dark Theme. Tap on this option to toggle it. As a result, the dark mode for YouTube will be activated throughout the YouTube app on your iOS device. For some users, this procedure may not work as they won’t find any option such as Dark Theme. For this, you can try checking for the latest version of YouTube from App Store. If you haven’t upgraded the app for long, get it up to date as soon as possible. Once done, repeat the same procedure and you will end up activating the Dark Mode for YouTube on your iOS device successfully. CHECKOUT – How to Check if an iPhone is Unlocked or Locked? How to Turn Off Dark Mode Theme on YouTube? Step – 1: From the top right corner of the homepage, left-click on the Profile icon. Step – 2: From the drop-down menu list, click on the option of Dark Theme. This will deactivate the Dark Mode on the web interface of YouTube. 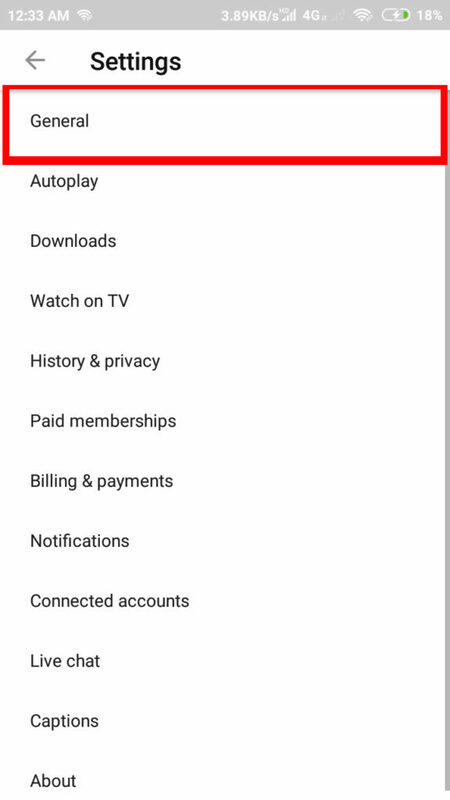 Step – 1: From the YouTube app, navigate to Profile > Settings > General > Dark Theme. Step – 2: Toggle the option by tapping on it once. This will deactivate the Dark Mode for YouTube on your Android smartphone. 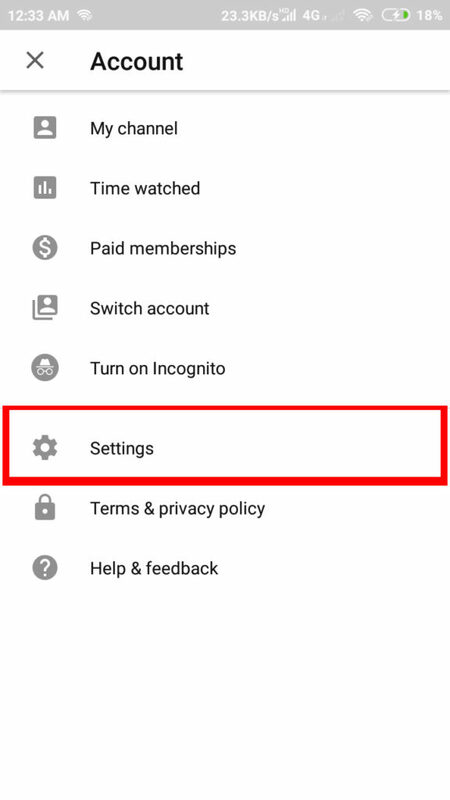 Step – 1: From the YouTube app, navigate to Profile > Settings > Dark Theme. Step – 2: Toggle the option by tapping on it once. This will deactivate the Dark Mode for YouTube on your iOS device. Check – How to Fix iPhone X Black Screen Issue? 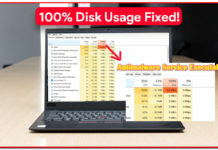 What is Antimalware Service Executable & How to Fix High CPU Usage Issue by it? How to Quickly Fix “ERR INTERNET DISCONNECTED” Error in Google Chrome? HowByte - Ocean Full of Solutions. 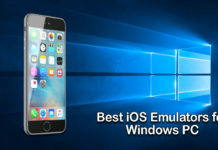 Get Solution to any type of your Technical Problem, let it be from Android, iOS, Windows.